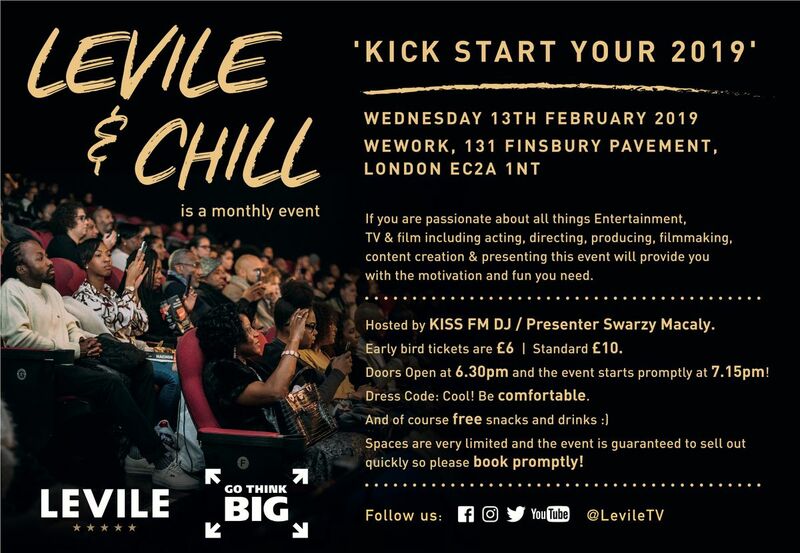 Levile & Chill is a fresh monthly event that will provide you the opportunity to have fun and network with our partners O2 GoThinkBig. If you are passionate about all things Entertainment, TV & film including acting, directing, producing, filmmaking , content creation & presenting this event will provide you with the motivation and fun you need. - Live Monologue performances from Actors across the UK. -Network with a room full of creative people. - Insight on how to get funding from O2 for your project. 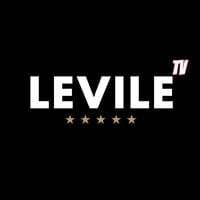 - The Levile Pitch - 3 Attendees will have the opportunity to pitch an idea and the winner have it developed with the Levile team. - What You Watching? - Whats hot on Netflix or in the cinema! Birdbox?, Frye Festival? You name it! You get to tell us and have debates about your favourite characters. - A screening of our favourite short film. - Live DJ playing your favourite songs during the intervals. Our event will consist of industry panelist and will be hosted by our official presenter and KISS FM's Swarzy Macaly. If you are a creative seeking funding don't miss out on the opportunity from our pals at O2! Early bird tickets are £6. Doors Open: 6.30pm and the event starts promptly at 7.15pm!